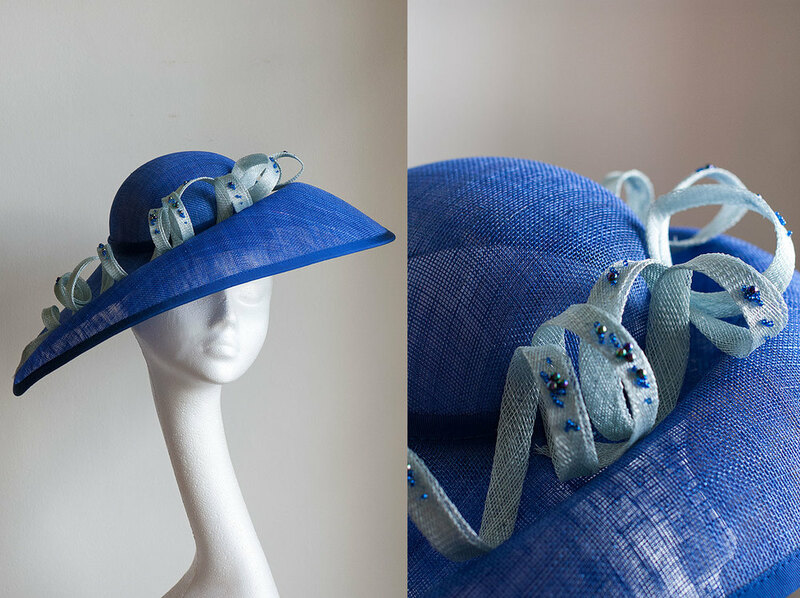 Elegant and beautifully trimmed, brims elevate an outfit lending something of The Occasion. Whatever the occasion is. 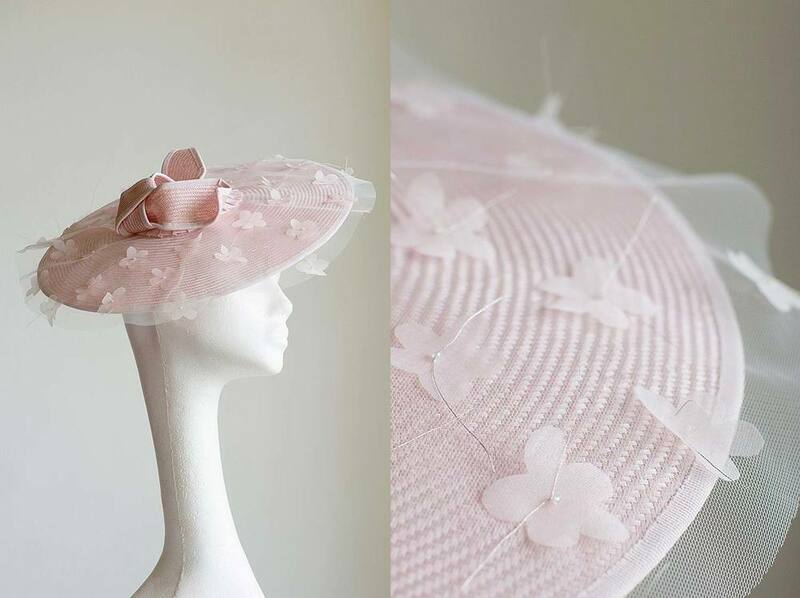 Audrey - A classic cream crowned hat with leaf detail on brim. 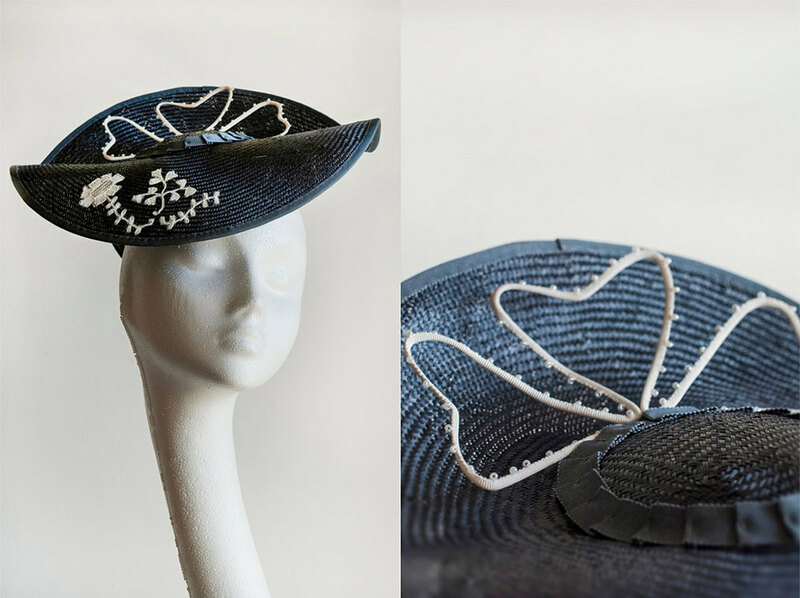 Camilla - a classic upturned hat with leaf detail on brim and handmade organdy leaves.